There are currently 25,215 users on this website. 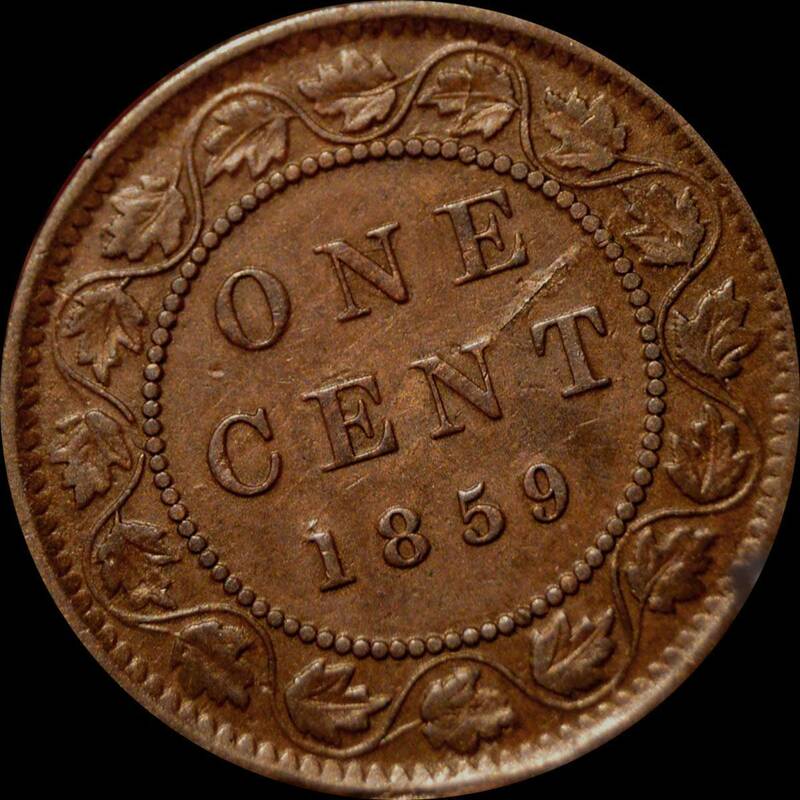 1859 Large Cent - Haxby Attribution Help Wanted! I can usually figure these out from the website but this one is being difficult, or perhaps I'm just blind. 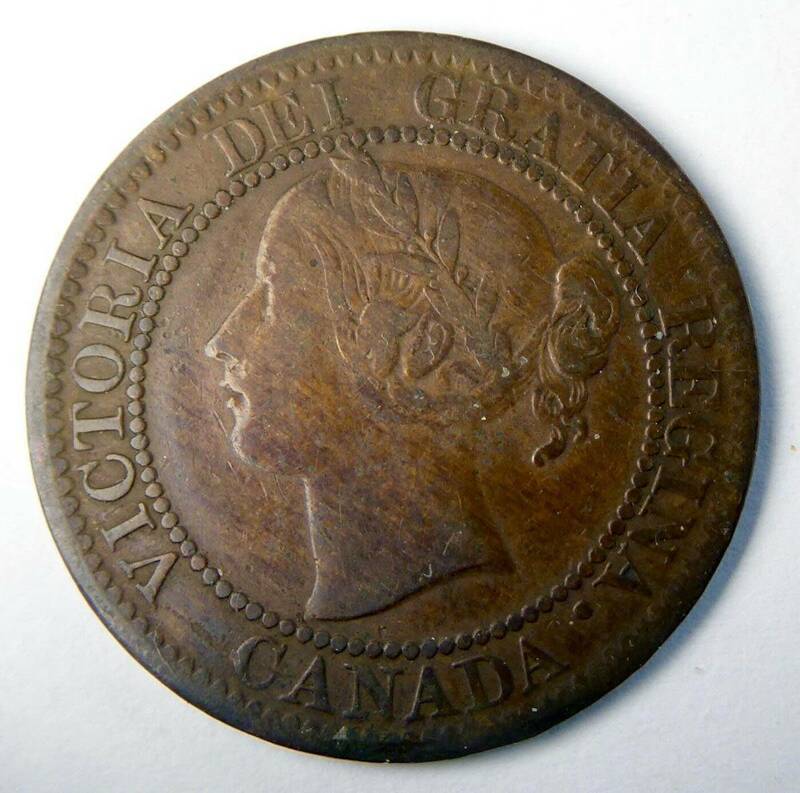 Obverse - recut G in GRATIA, possibly also on the R; no visible die cracks; bottom section of obverse shows die wear. Reverse - Cracks at leaf 2 and leaf 14; 1,8, and 9 in date may be repunched; loop across from 9 is broken (two bead gap); loop across from C is broken (two bead gap); leaf 10 stem is missing entirely. Planchet or lamination flaw. My best guess so far is 83/P21 (PC59-831) but I can't see the N in CANADA well enough in these photos to determine, and reverse P21 shows a crack to leaf 7 in stage 5 which is not present on this coin so I doubt this is correct! Doing the best I can with seller photos; thoughts appreciated! I think you are correct with the PC59-831(83+P21) attribution. 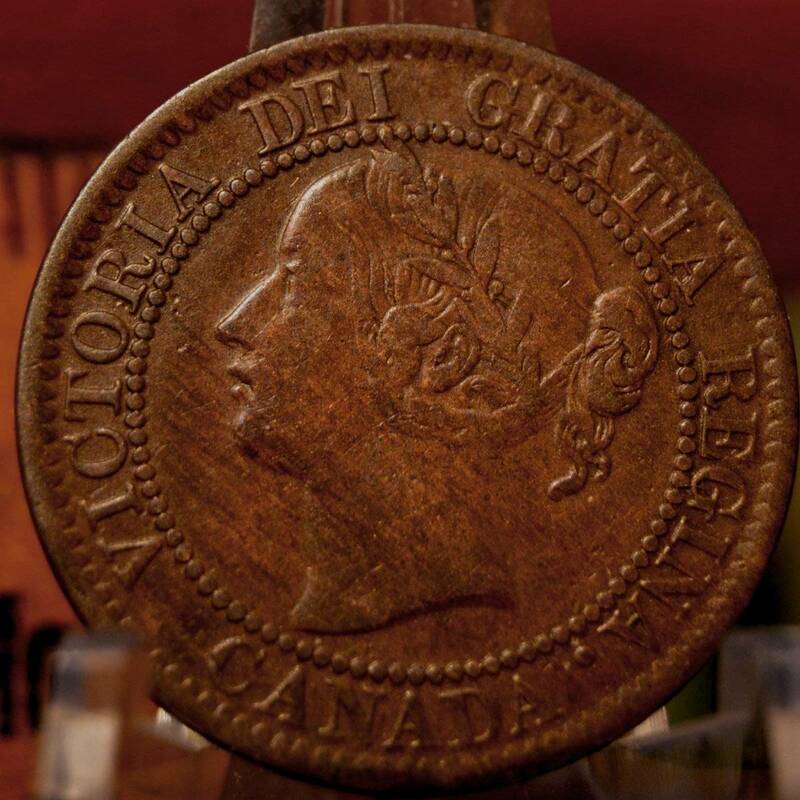 I believe I can see the obverse die crack just to the left of the D of DEI when I enlarge your photo. Your reverse is an intermediate die state not listed in the Haxby Catalog. State 4 shows only the die crack at leaf 2, while state 5 adds the die cracks at leaves 7 and 14. Your coin shows that the die crack at leaf 14 appeared before the one at leaf 7. Your reverse would be die state 4.5 with cracks at only leaves 2 and 14. I'm sure there will be more intermediate die states that will be added to the catalog in the future. This will be one of them. Thanks for sharing it paralyse. You're both welcome, thanks for the info! I thought about the possibility of an "in-between" state but wasn't sure. I'll take microscope photos of the leaf 7 area when I get the coin. I wouldn't be surprised if there turns out to be a fine die crack at leaf 7 that just doesn't show up in the seller's photo. It will be interesting to see what you find there when you get the coin in hand. Got it in-hand. Die crack at leaf 7 is not visible to the naked eye, and faintly visible under 10x. 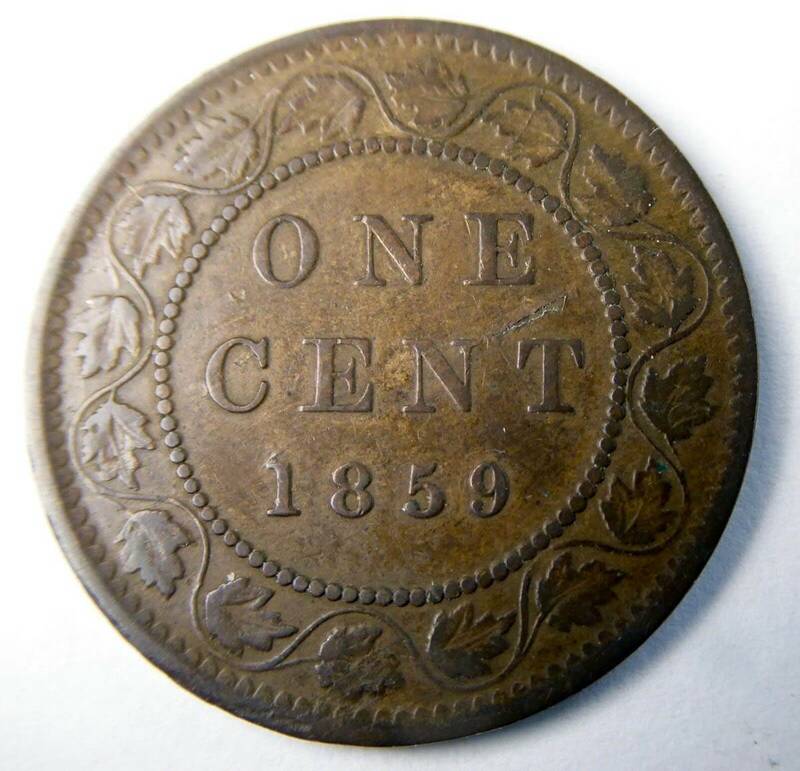 Coin is actually better than seller's photos made it look, and the other die features (repunching) are visible in hand that were not visible in his photos. The repunching on the GR in GRATIA is quite prominent and striking. I also discovered that the reverse is rotated about 15 degrees CCW from coin turn orientation. Obverse die shows obvious signs of deterioration, notably the lower half. Planchet has some woodgrain striations, along with the reverse lamination flaw. 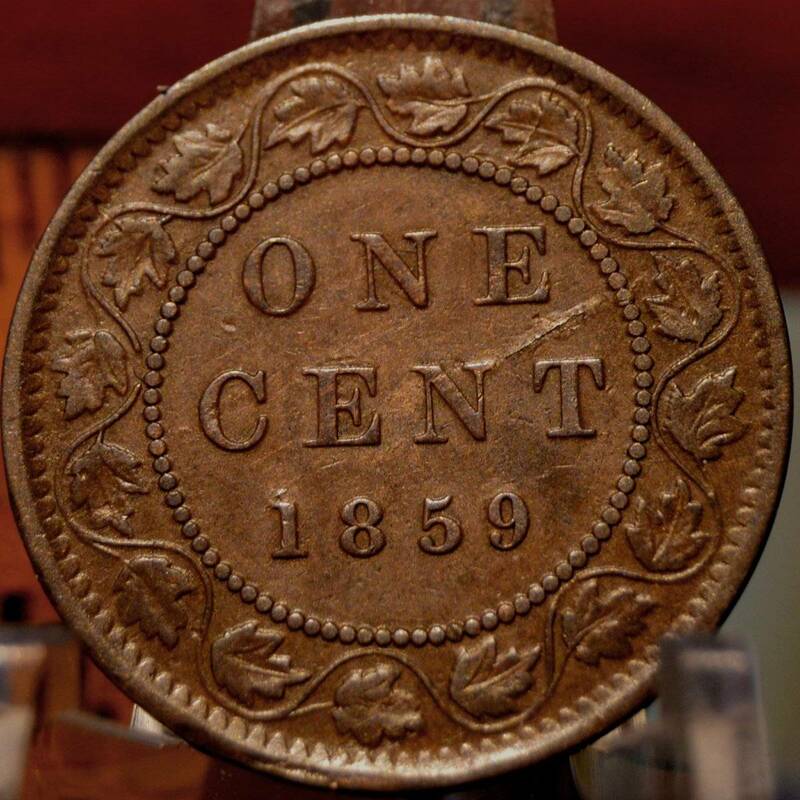 The GR on obverse 83 is one of the boldest re-punches in all of the 1859's. I also discovered that the reverse is rotated about 15 degrees CCW from coin turn orientation. Are you saying it is almost coin orientation? That would be a lot of rotation as they are normally medal orientation. Happy hunting on the DP 9's! I'm sure there are still some out there to be found. Phil310, you are correct, it's medal orientation. Also, thanks, Okie, for the grading info. I had it somewhere between F-VF but not sure how much was die wear and how much was circulation wear.